Our investigators personally conduct each background check. 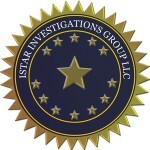 ISTAR Investigations, LLC background screening service provides you with the most accurate and reliable information available. Before you get into a serious relationship. Check for prior marriages, criminal history and history of domestic violence. Increase quality of hire – Validating the accuracy of information a candidate provides reduces the risk of hiring someone who doesn’t have the required skills or education to fill the position. The cost of a background check is small compared to the potential cost of hiring the wrong candidate. Avert workplace theft and violence – A background check will reveal any criminal history or legal issues that may not have been included on the resume. An incident of workplace violence can cost an employer thousands of dollars. Hiring appropriately skilled and educated employees will lower turnover rates, and cut hiring costs. Productive and skilled employees require less training. Create a more productive work environment – Background checks discourage dishonest applications and show current employees that the company will take the extra step to ensure their safety and ensure that they’re getting qualified co-workers. Avoid litigation. Companies are being taken to court more often for negligent hiring. A thorough screening process will reduce legal risk. Employment screening and due diligence employment background investigations are vital to maintaining workforce integrity and safety. Employers must complete Fair Credit Reporting Act(FCRA) authorizations and employment candidates must sign authorization forms and provide appropriate identification. ISTAR Investigations, LLC will provide employers free of charge, all required (FCRA) forms and documentation to comply with all applicable laws. Legal Code can be viewed by clicking the links under “Legal Resources” on the bottom of this page.